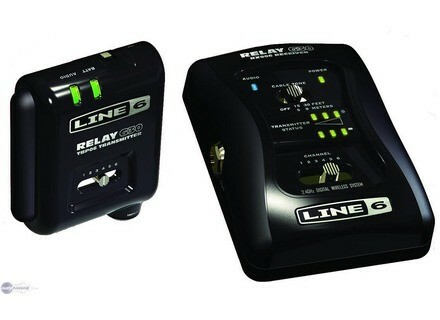 Relay G30, Other Guitar Accessory from Line 6 in the Relay series. 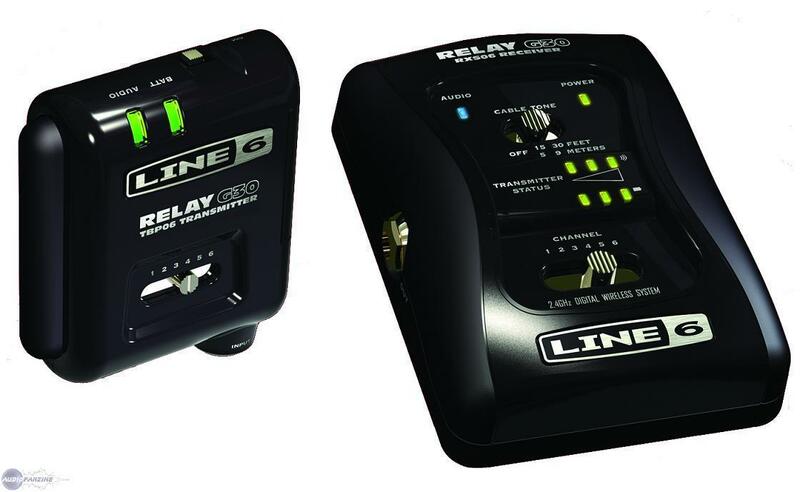 Line 6, Inc. has announced its Relay G30 Wireless Guitar System, the debut system from its forth-coming brand of digital wireless systems for guitar and bass. Free of any frequency roll-off, according to Line 6, Relay G30 has a broad frequency response of 10Hz – 20kHz, plus a dynamic range of 118 dB, at ranges of up to 30 meters. Built for professional use, Relay G30 offers unequalled dependability. It avoids many kinds of signal interference by broadcasting over the 2.4GHz band. Plus, it employs exclusive signal protection technology for an additional layer of defense. Traditional wireless systems broadcast over congested UHF bands, and their signals may be forced to compete with interference generated by devices as far away as 160 kilometers, or more. Relay G30 is approved for use in Europe, South America, Asia and Australia, and is expected to ship in June, 2009. It won't be available in North America. FH(fx) Dual Footswitch AB-Synth FuzzHugger(fx) has announced version two of their AB-Synth fuzz pedal, designed to reassign the oscillation toggle to a second footswitch for hands-free operation and quick switching between the pedal's modes. Visual Sound Open Road Overdrive Open Road is Visual Sound's new overdrive. [Musikmesse] Hexaphonic Pickup System Shadow has released a new pickup system for acoustic and classical guitar, the hexaphonic pickup, based on Shadow's Nanoflex pickup technology, and which unites 6 pickups in one—one for each string.